Stampin’ Up! have offered us another great deal! For every £45 you spend between now and the end of August, you earn a bonus coupon of £4.50 that you can redeem in September. It also applies to multiples of £45 – so spend £90 in August and earn £9 in coupons, £135 and earn £13.50 in coupons etc. After you order you will be emailed a code from Stampin’ Up! and, importantly, you will need to ensure that you DO NOT DELETE those emails, as the codes cannot be regenerated. They are randomly generated so if you lose or delete them, then you will have lost out on the offer. 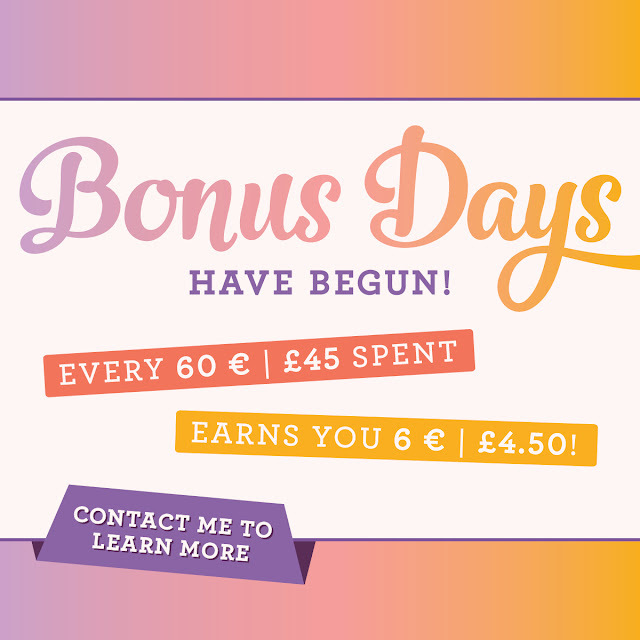 This promotion was very successful last year – and looks like it will be again this year AND you can use your bonus coupons against products from the new Autumn/Winter catalogue that will be available from 1st September. Win Win!